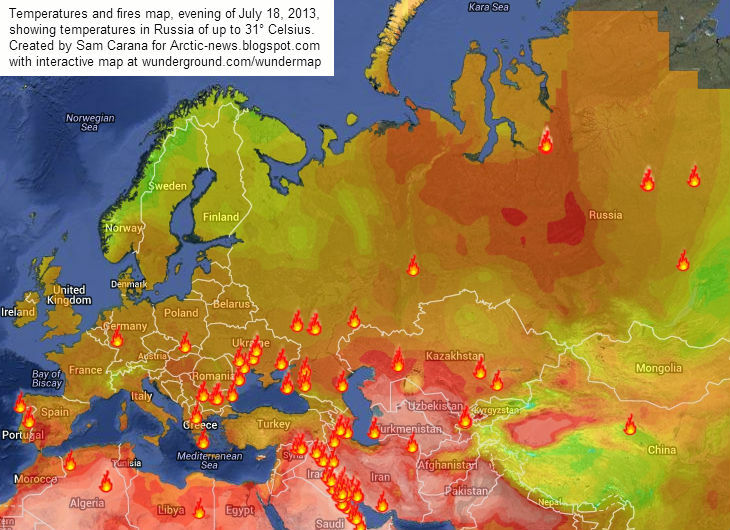 Here are two more images looking at links between high temperatures, fires and methane. 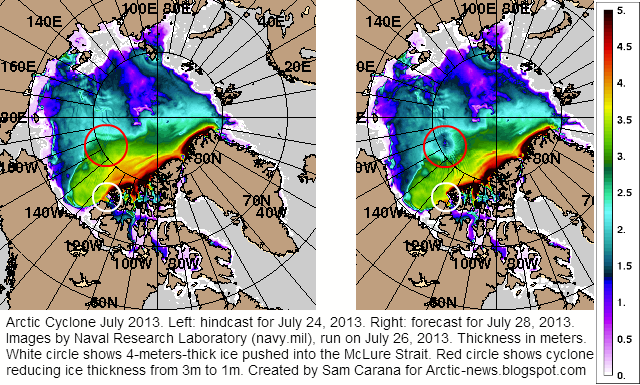 Arctic sea ice motion (speed and direction) is compared to sea ice thickness from August 1st to August 16th, 2012. 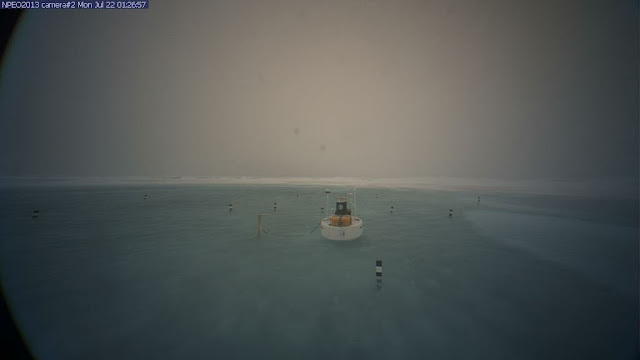 Sea ice motion is then compared to meteorology (500 mb pressure heights and 200 mb vector winds). 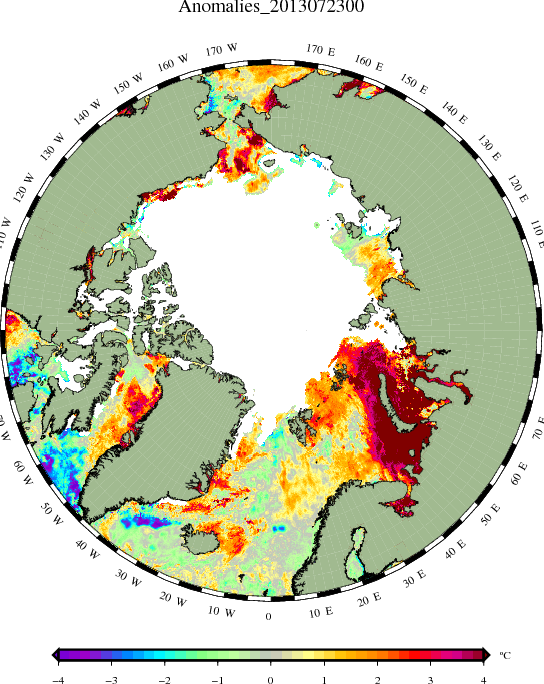 Northern hemisphere meteorology (500mb pressure heights) and Arctic sea ice concentration compared to SST (sea surface temperatures) are examined from August 1st to August 16th, 2012 encompassing the mass persistent cyclone. 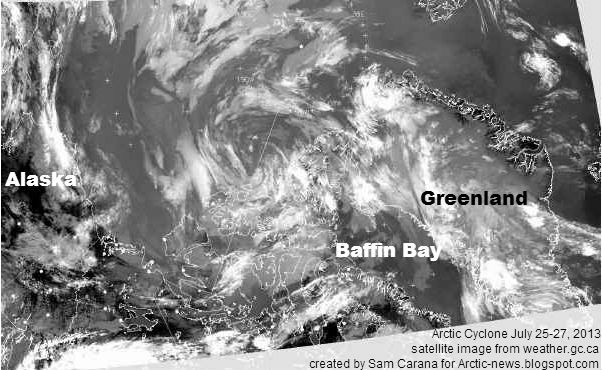 Arctic basin SSS (sea surface salinity) is compared to SSH (sea surface height) during the period August 1st to August 16th, 2012 which encompassed a massive persistent cyclone. 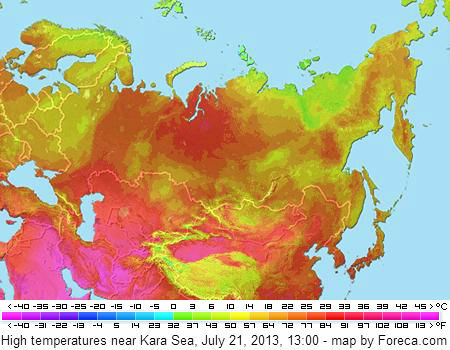 Detailed meteorology is also examined (tropopause temperature + pressure, surface precipitable water + pressure). 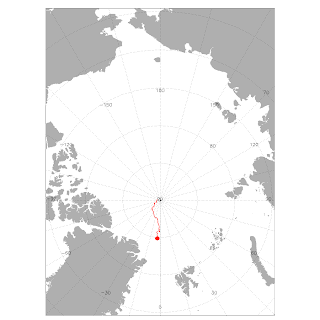 Also examined is ocean profile salinity and temperature from an ice tethered buoy. 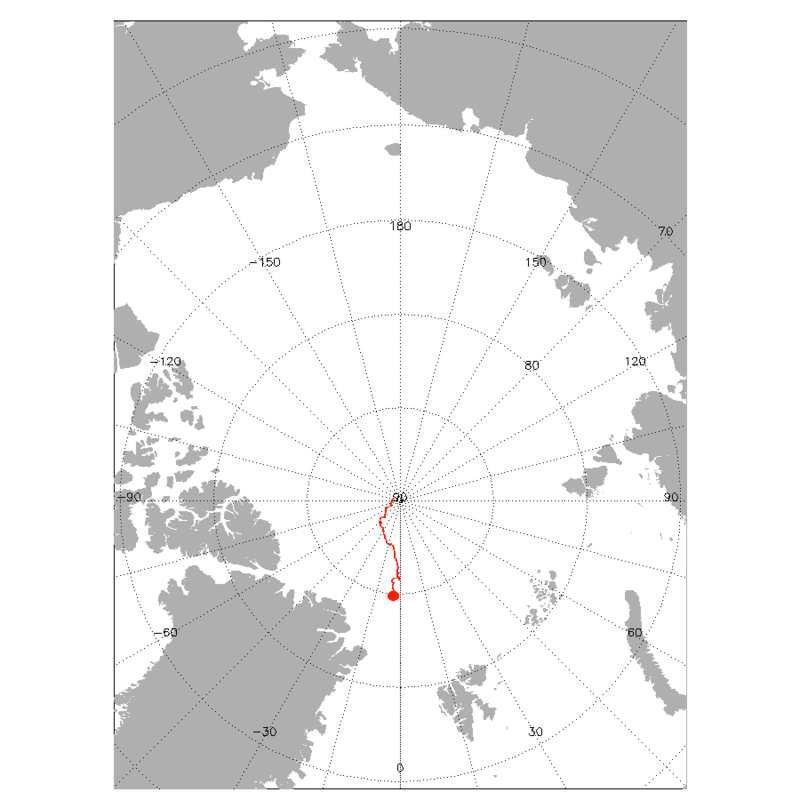 The jet streams in the Arctic ocean basin are shown (200mb vector winds) from NOAA/ESRL daily data, as well as from 4 times daily data from SFSU. 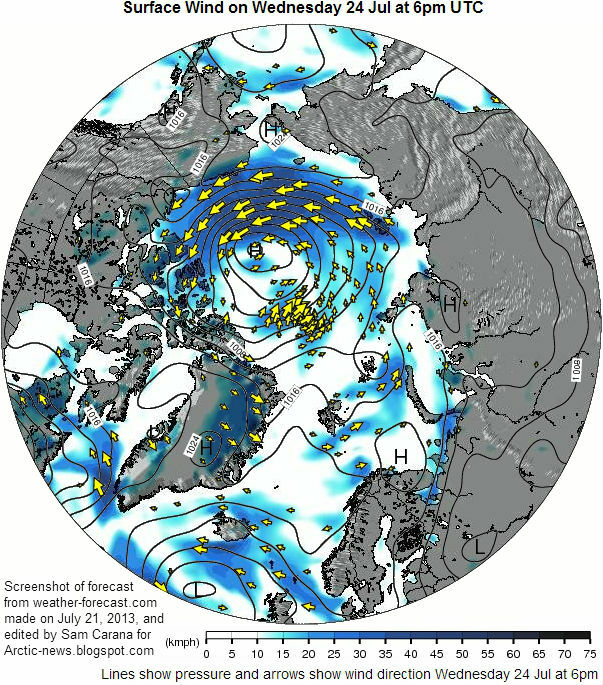 The data is given from August 1st to August 16th, 2012 which encompasses the massive Arctic cyclone. 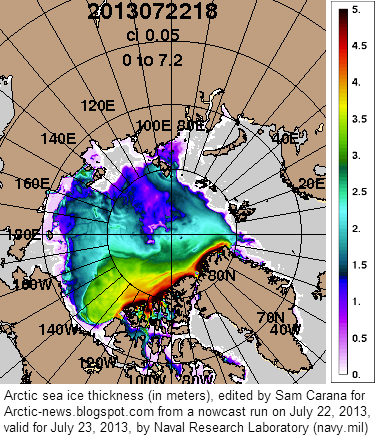 Left pane shows Arctic sea ice thickness; right pane shows sea ice motion (direction and speed). 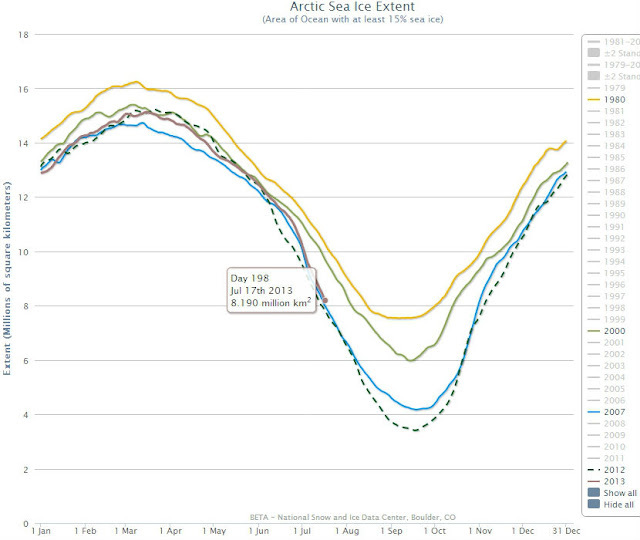 Arctic sea ice data from July 1st to July 17th, 2013. 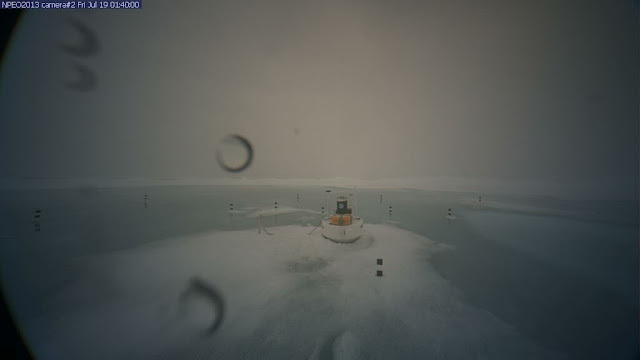 Left pane shows the Arctic sea ice thickness; right pane shows sea ice motion (direction and speed). 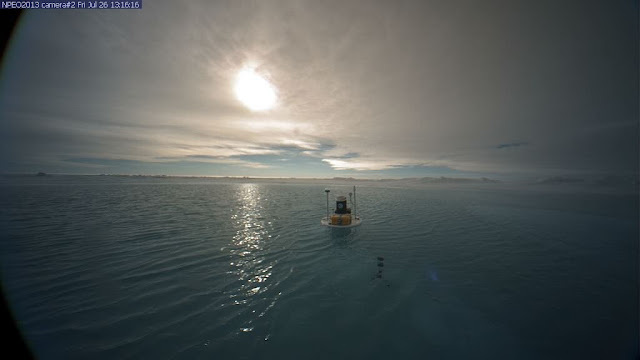 2) SFSU data collect every 6 hours. Data is given for the time period from July 1st to July 17th, 2013. Arctic sea ice extent 2013 (brown line on NSIDC-image below) is more and more following the same path it did last year (dashed line), when extent reached a record minimum, and in 2007 (blue line), the previous record minimum. 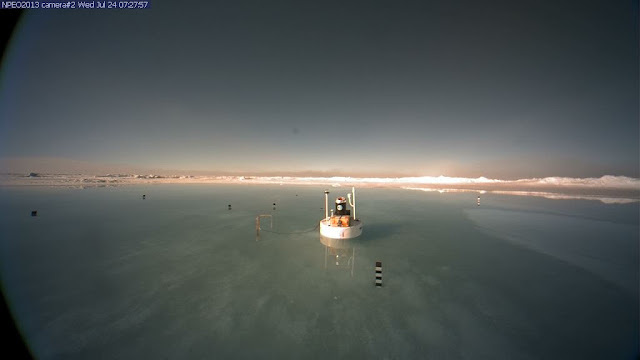 Even more worryingly, sea ice is very thin, as the Naval Research Laboratory animation below shows; large areas with a thickness of 1 meter to zero persist close to the North Pole, as discussed in an earlier post; the image below, from the North Pole Environmental Observatory shows lots of water and that it's raining at the North Pole. 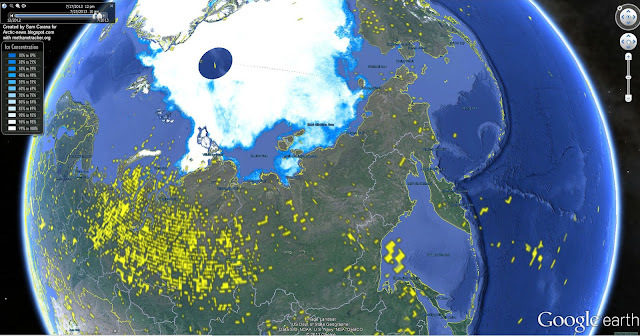 The above animation also shows the retreat of sea ice from the Kara Sea, north of Siberia, over the past 30 days. 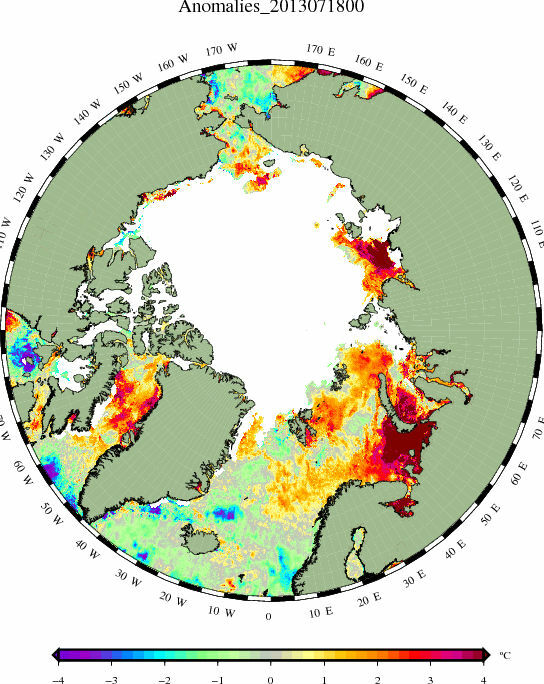 As can be expected, high sea surface temperature anomalies show up in areas where the sea ice has retreated, as shown by the DMI image below. Most worryingly, high methane readings appear over the Kara Sea, as shown on the image below. 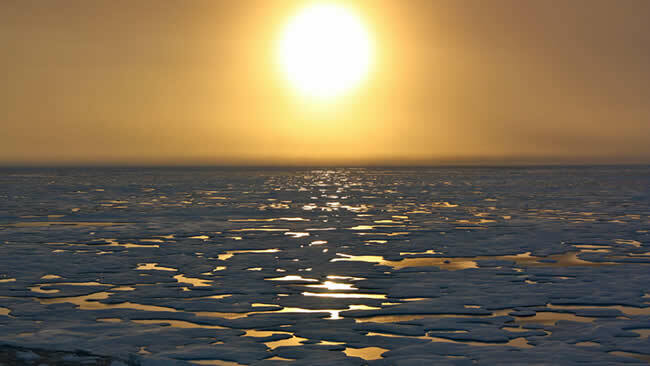 President Obama's Climate Action Plan doesn't look much like a shift to genuinely clean energy. 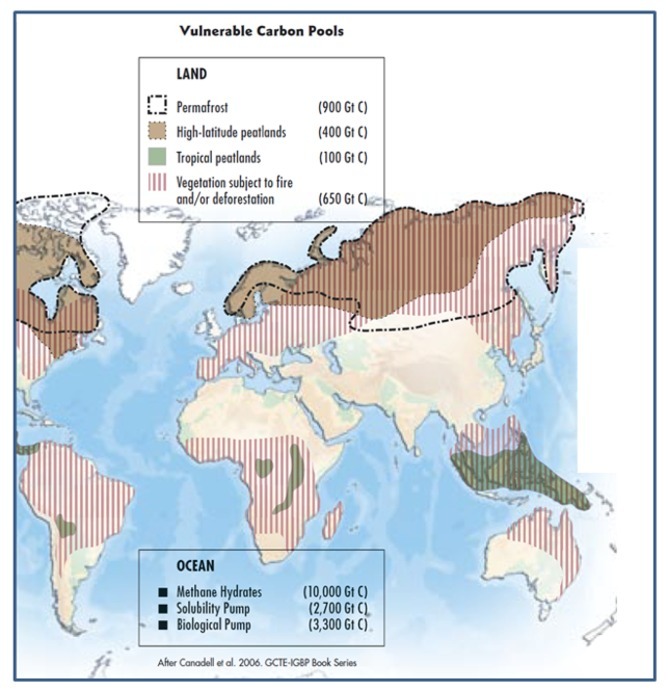 As discussed in a recent post by Peter Carter, the President's Plan sadly supports fossil fuel in many ways. 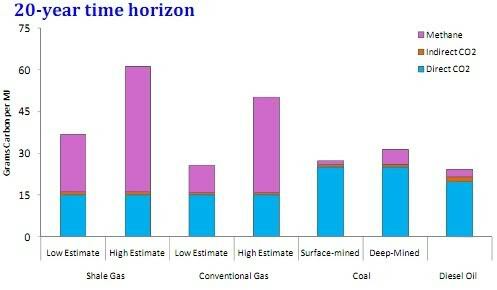 The plan supports natural gas very prominently. 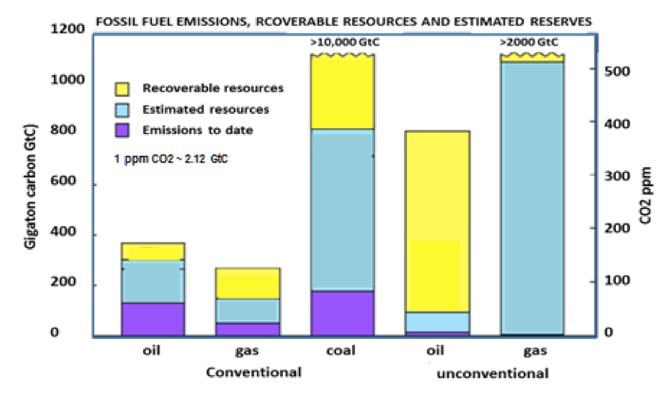 Indeed, how clean is natural gas? 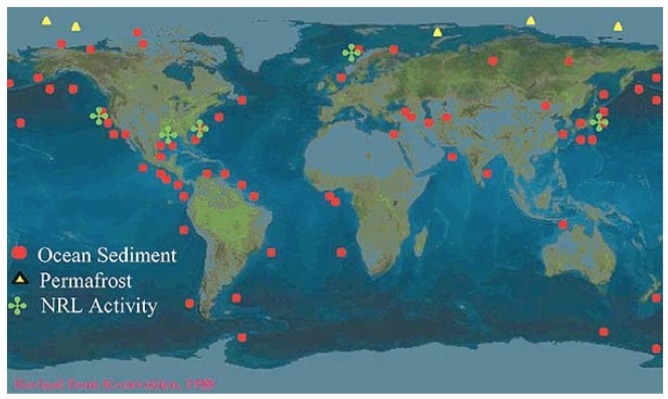 Years ago, a Cornell University study (image below) concluded that emissions caused by natural gas can be even worse than coal and diesel oil, especially when looked at over a relatively short period. 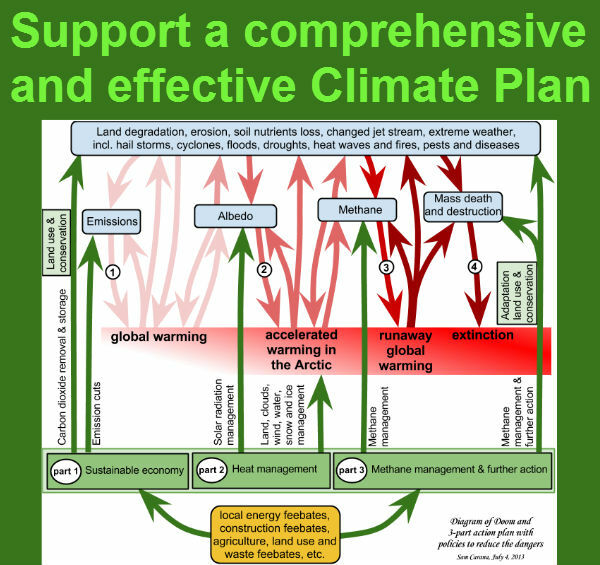 At the time, I wrote that this kind of support for natural gas - as if that was supposedly "clean energy" - would only perpetuate the government's support for fuel, while doing little or nothing to help genuinely clean energy. 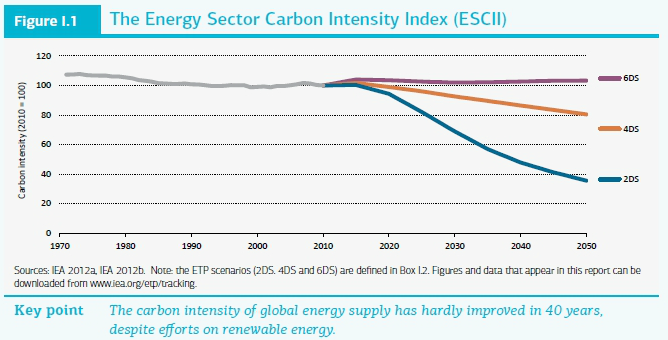 Moreover, continued support for fossil fuel comes at the expensive of growth in genuinely clean energy that we need instead. 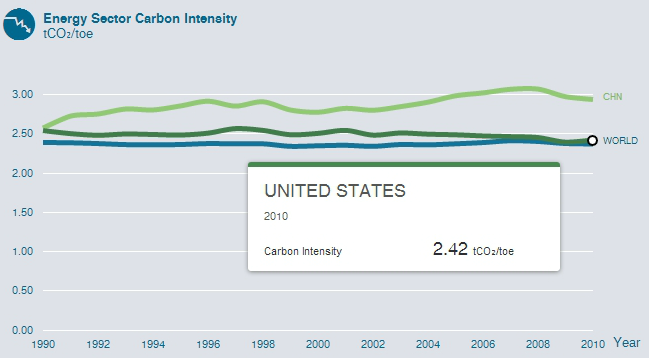 EIA figures also show that, over the period from 1990 to 2010, the average amount of carbon dioxide produced in the United States for each unit of energy generated has remained much the same as the world average, while the situation in China has grown even worse. 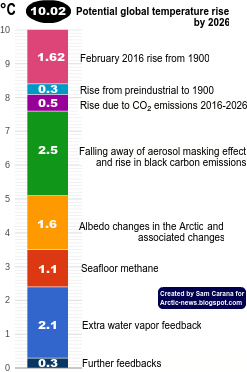 IEA figures further show that the world's energy-related carbon dioxide emissions continue to rise rapidly and that they, for the period 1900 - 2012, add up to a staggering amount of 1257 Gt. 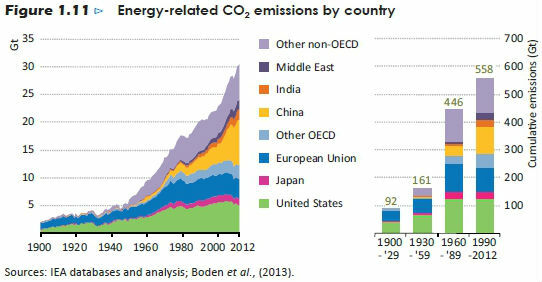 As the image below shows, from a recent IEA report, the carbon intensity of global energy has hardly improved over the decades. 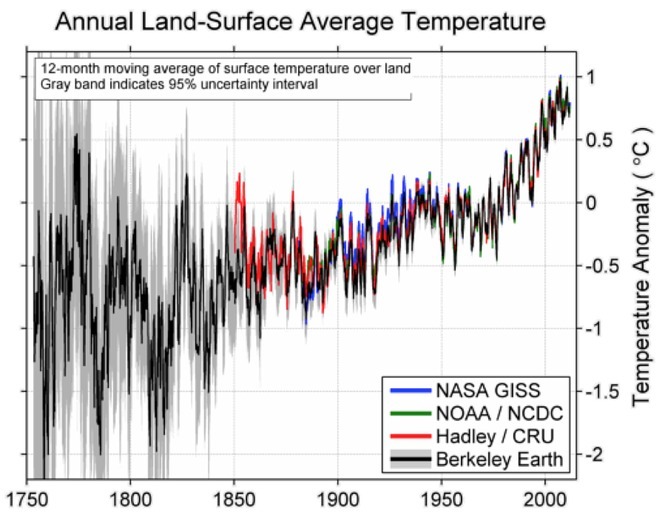 The colored lines on the right correspond with scenarios in which global temperatures are projected to increase by, respectively, 6 degrees Celsius, 4 degrees Celsius and 2 degrees Celsius. What are the chances that it will be possible to avoid the worst-case scenario? 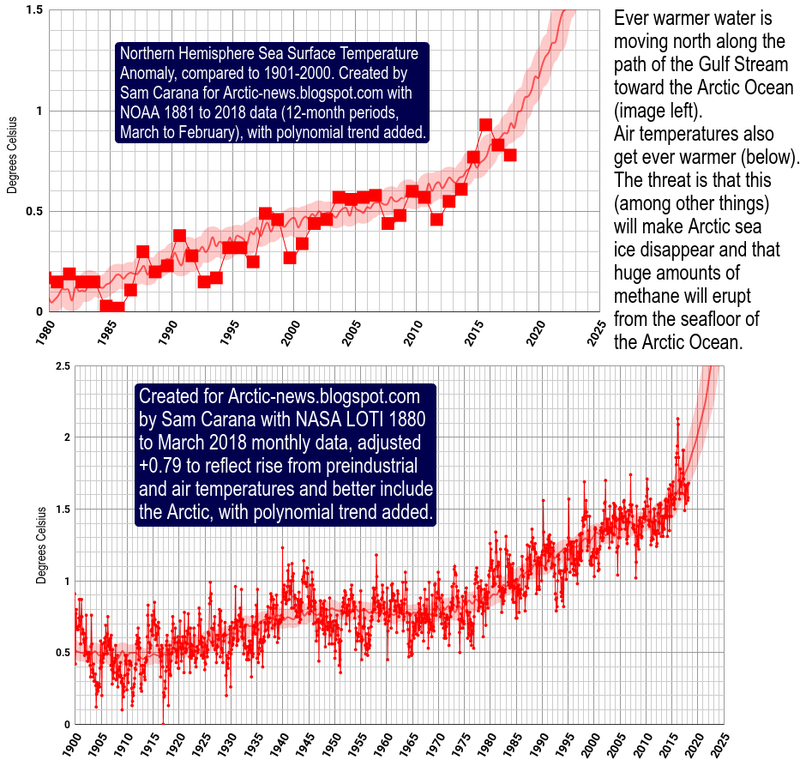 The IEA elaborates that an extension of current trends would result in an average global temperature rise of at least 6 degrees Celsius in the long term. 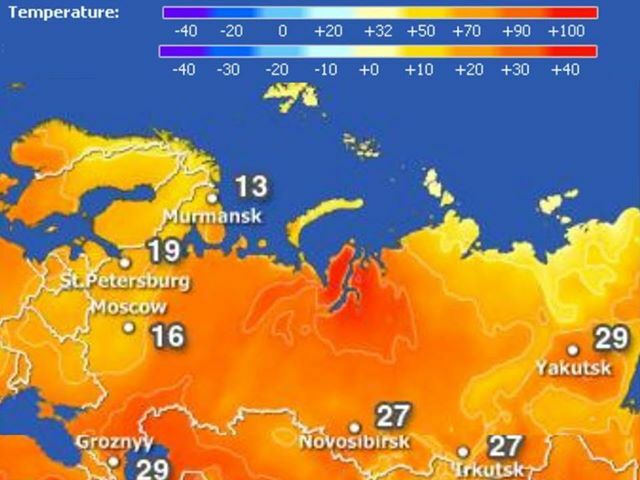 To have an 80% chance of limiting the average global temperature rise to 2 degrees Celsius, energy-related carbon dioxide emissions need to be cut by more than half in 2050 compared with 2009. They would need to continue to fall thereafter. 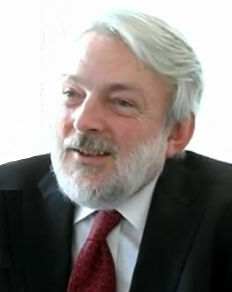 While the IEA adds that the goal of limiting the average global temperature rise to 2 degrees Celsius can only be achieved if greenhouse gas emissions in non-energy sectors are also reduced, the IEA does not elaborate on what further action will be needed and whether emission reductions alone will suffice to avoid climate catastrophe. 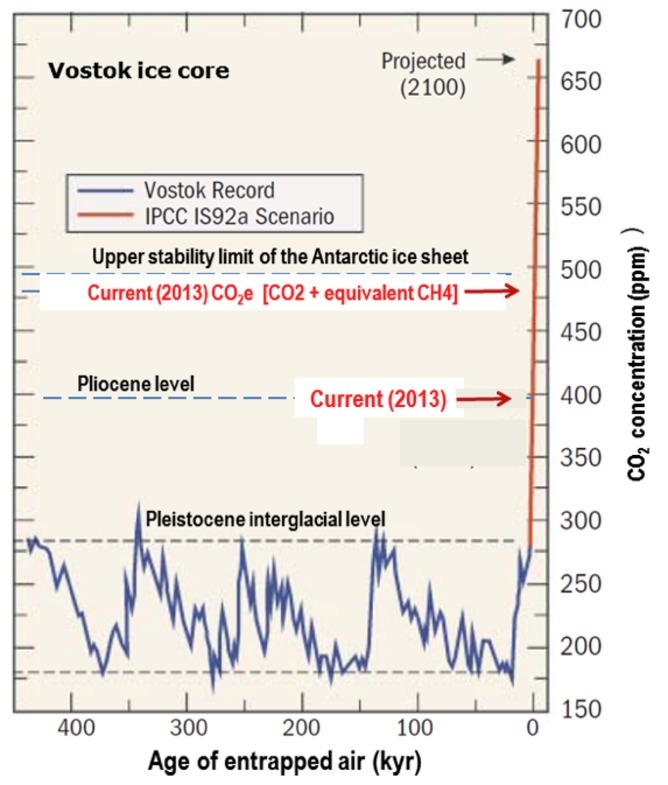 As said, the world's cumulative energy-related carbon dioxide emissions add up, for the period 1900 - 2012, to a staggering amount of 1257 Gt. 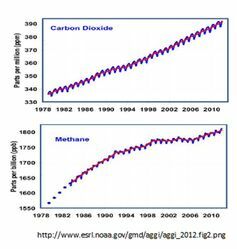 As the graph on the right shows, methane's global warming potential for the first decade since its release into the atmosphere will be more than 130 times as much as carbon dioxide. 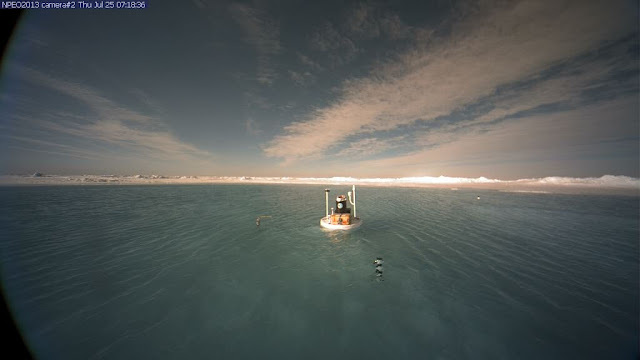 Abrupt release of just 10 Gt of methane will - during the first decade since entering into the atmosphere - have a stronger greenhouse effect globally than all cumulative energy-related carbon dioxide emissions from 1900 to 2012. 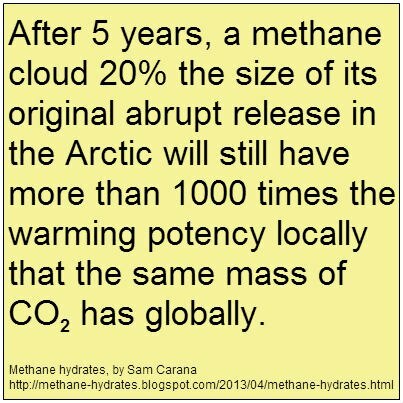 Note that above calculation applies to methane as it's typically released at present, i.e. 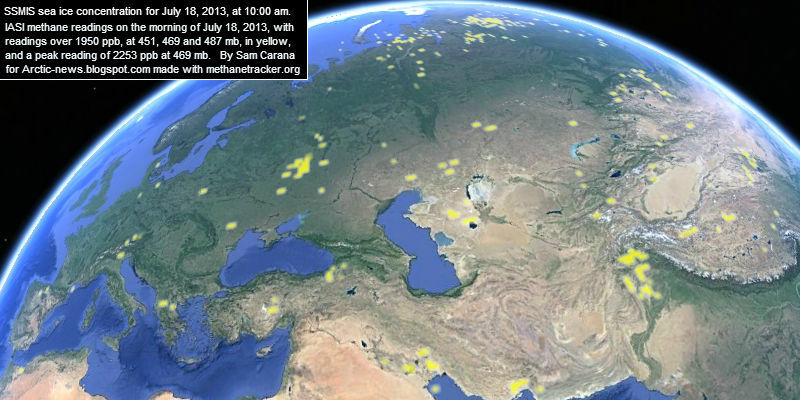 gradually and spread out over the world, mostly originating from cattle, wetlands, biowaste, energy, forest fires, etc. 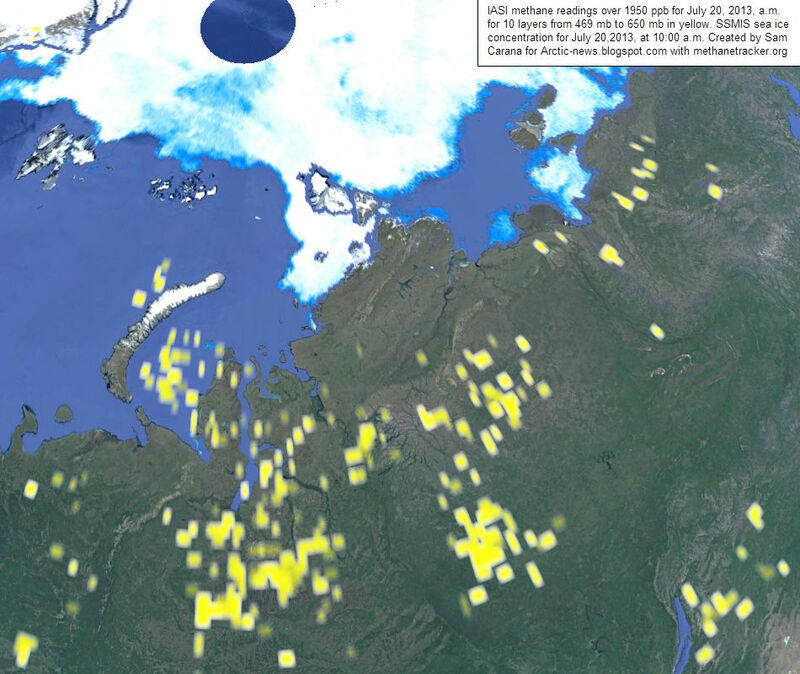 Things will be much worse in case of abrupt release of methane from the Arctic seabed, when much of the methane will initially remain concentrated in the Arctic, where hydroxyl levels are also very low. After 5 years, a methane cloud 20% the size of its original abrupt release of methane in the Arctic will still have more than 1000 times the warming potency locally that the same mass of carbon dioxide has globally. 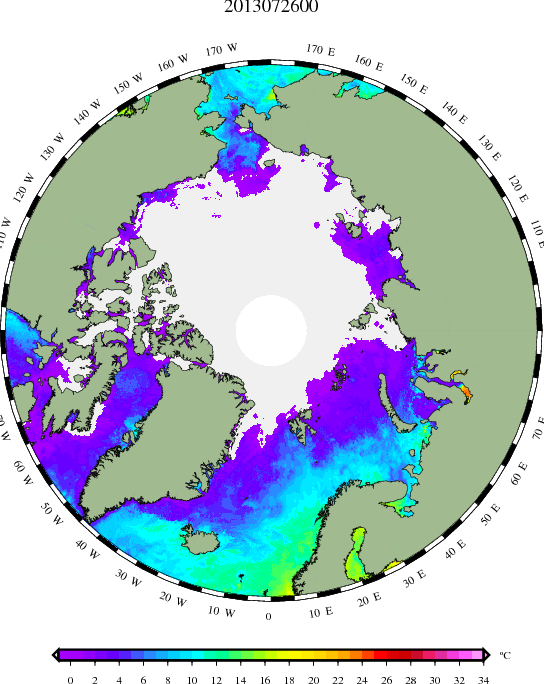 Look at it this way; an abrupt release in the Arctic Ocean will initially remain concentrated locally. 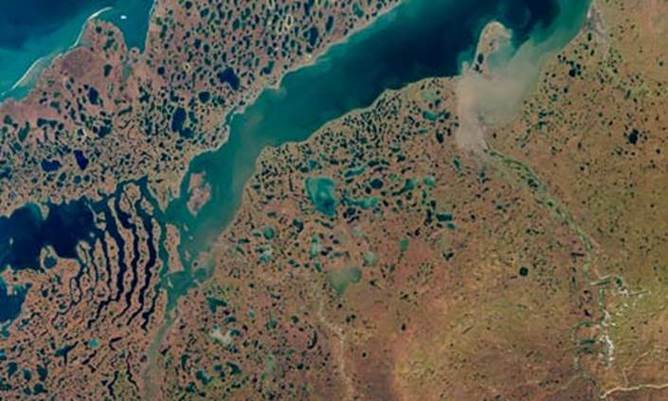 The Arctic Ocean covers 2.8% of the Earth's surface, while there's currently about 0.14 Gt of methane in the atmosphere over the Arctic Ocean. 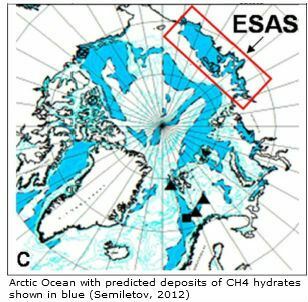 Abrupt release of 1 Gt methane from the Arctic seabed will thus initially multiply methane levels in the atmosphere over the Arctic Ocean by 8, trapping much more heat from sunlight, especially during the June solstice when solar radiation received by the Arctic is higher than anywhere else on Earth. 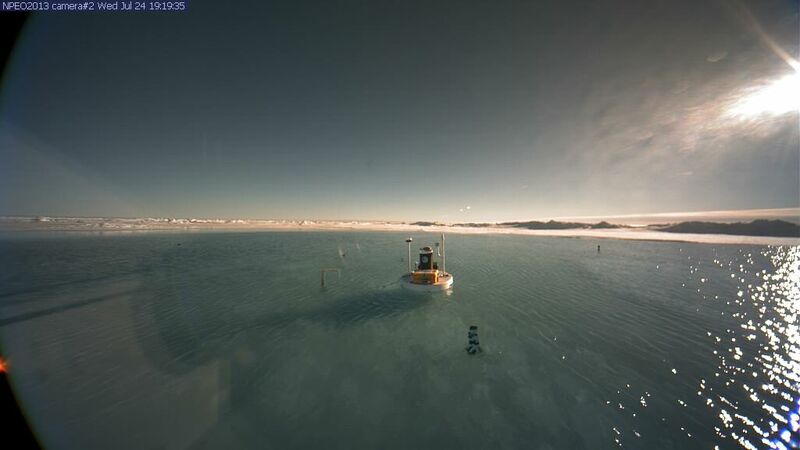 This comes on top of warming that is already accelerated in the Arctic. Albedo changes alone could cause more warming than all emissions by people globally, according to calculations by Prof. Peter Wadhams, who also describes things in the video below. The resulting temperature rises in the Arctic threaten to trigger further methane releases from the seabed and wildfires on land in the Arctic, further driving up temperatures in an exponential spiral of runaway global warming.